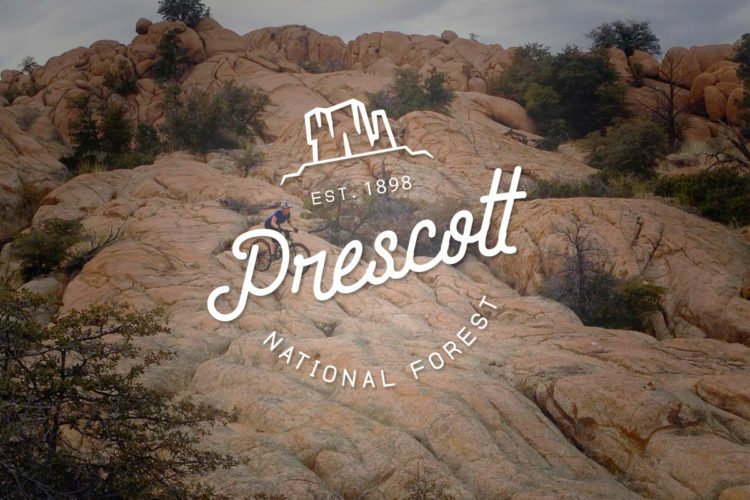 The Santa Fe National forest is unique in the United States national forest system. It has all the things usually associated with a national forest, but it is also home to one of the world’s great centers of art and culture, the city of Santa Fe, New Mexico. There are a few marquee rides and tons of as yet undiscovered singletrack to explore, but there is also an array of activities for the non rider, making it a great destination for those of us in “mixed marriages” (a rider and a non rider). The Santa Fe National Forest is divided into the Espanola, Jemez, Pecos/Las Vegas, Cuba, and Coyote Ranger Districts, but almost all the top riding is in the Espanola Ranger District, whose parcels are situated around the area’s largest population centers of Santa Fe and Los Alamos. The more remote districts, while not your first choice for mountain biking, are still worth seeking out for those who wish to explore areas few others take the time to see. 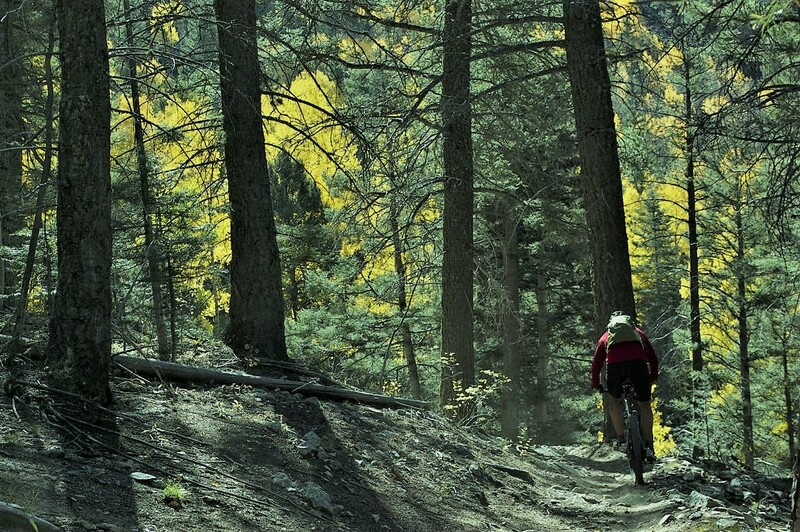 Read on to learn about the best things the Santa Fe National Forest has to offer. 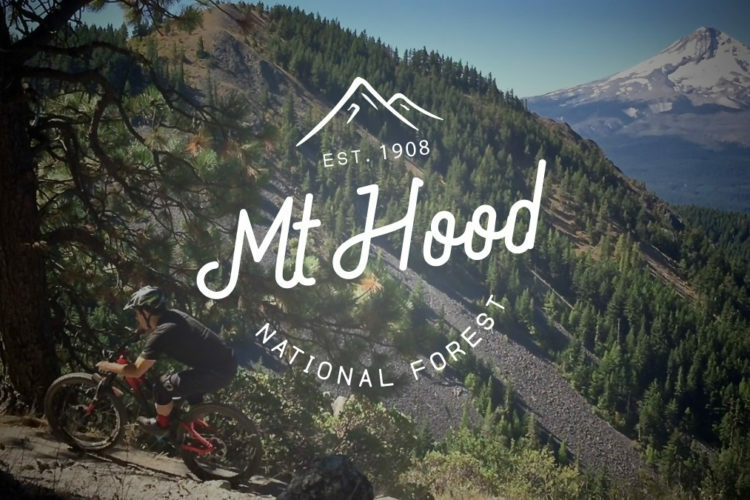 9 miles and over 3,340 vertical feet of descending, all in a gorgeous pine forest… now that’s a recipe for a great ride. While some may ride up the Winsor Trail, its fame rests in its magnificence as an absolute screamer of a downhill run. Whether you climb it, climb the adjacent paved highway, or shuttle it, this is a downhill you won’t soon forget. You and your riding buddy will have to slap the permagrins off each other’s faces at the bottom lest you wander back into civilization looking positively silly. 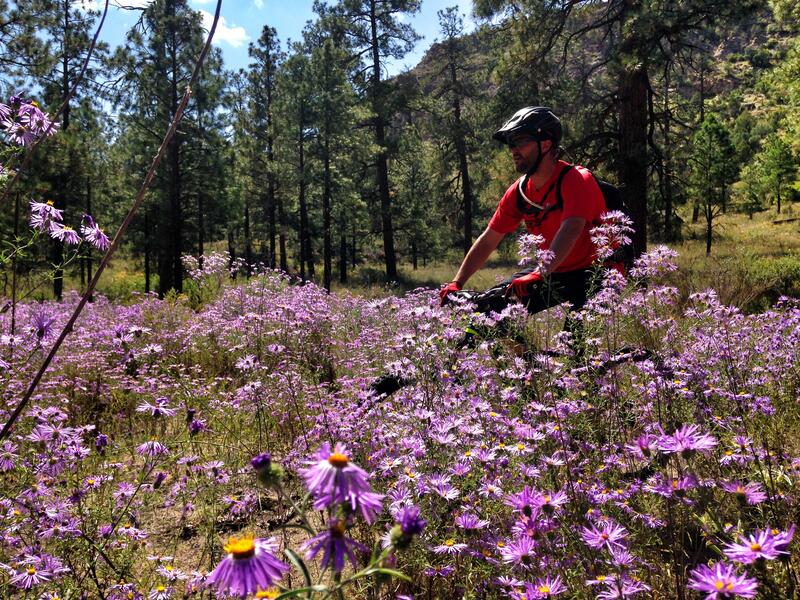 Sitting to the west and north of Los Alamos is a massive network of trails with fantastic variety, and chock full of adventure for the hardy rider. 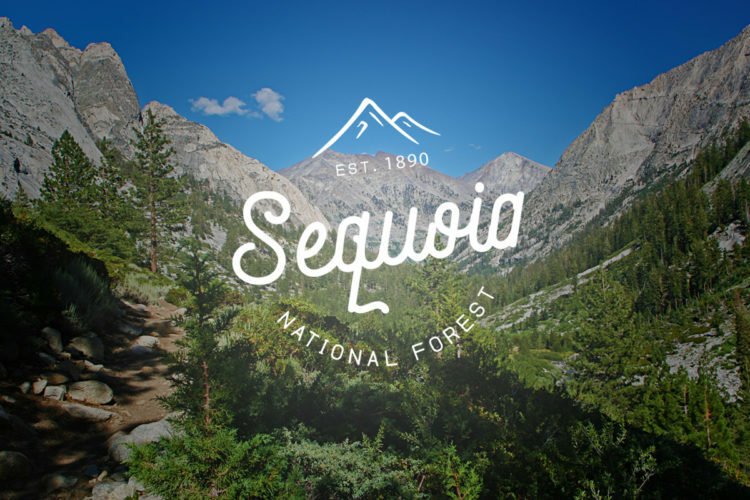 Much of this area was devastated by the massive and intensely-destructive wildfire, completely changing the local environment and turning some trail segments into a sandy slog through a post-apocalyptic landscape. But that in no way diminishes the awesomeness of the riding here, and in some ways actually enhances it. There are quad-busting climbs, gnarly descents, miles and miles of both rocky and hardpacked cross country hammering, and lessons in what such a fire hath wrought, and how the earth recovers and renews itself afterwards. 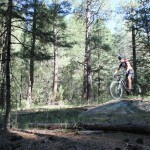 The Atalaya Trail proper is only two miles, but adjoins a number of area trails, allowing a variety of longer options. Part of its reputation rests in its relentless grade, which runs at a consistent 15-20% for most of its length, with some segments reaching 25%. You want a workout in just two miles? Atalaya will give you that. Once on top, the views are spectacular and the options for descending delightful. Sections of this descent will have you squarely on your toes while others beg you to open it up and fly through the pines. One caveat: this is also a very popular hiking trail, so if you really want to enjoy it, hit it midweek, midday, and if possible, off season. The aforementioned Atayala Trail sits at the south end of an extensive trail system divided into Dale Ball North, Dale Ball Central, and Dale Ball South, which get progressively more difficult, both aerobically and technically, as you go south. So if you’re not jazzed about the relentless physical challenge of Atalyala, simply head for the more northern segments. 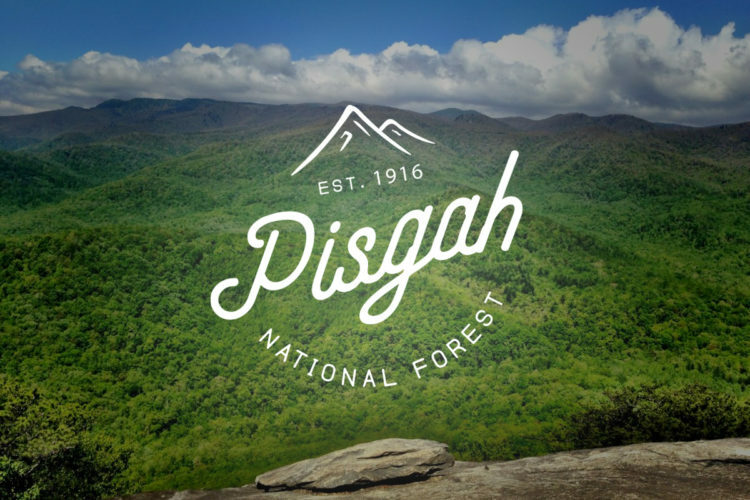 These trails straddle the seam between the national forest proper and the local community open space, so you’ll see unspoiled woods in one direction, and some rather pricey real estate in the other. But no matter what direction you look, you’ll have quality singletrack under your knobbies. 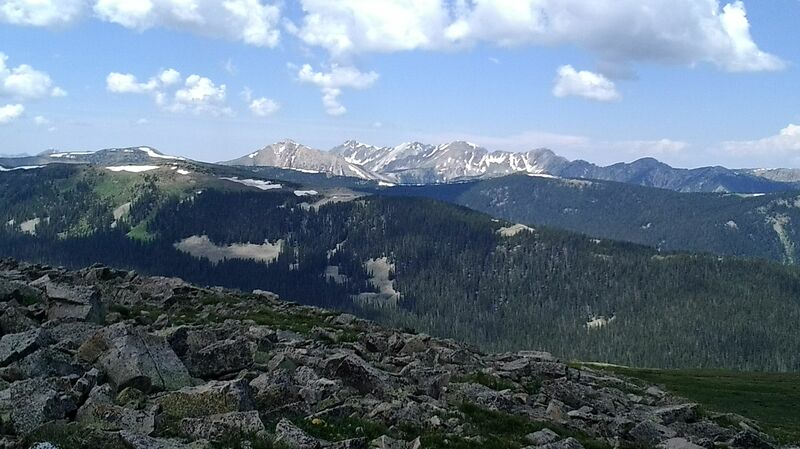 Just north of where Interstate 25 jogs west around the southern boundary of the Santa Fe National Forest is Glorieta Baldy, peaking at 10,200 feet above sea level. 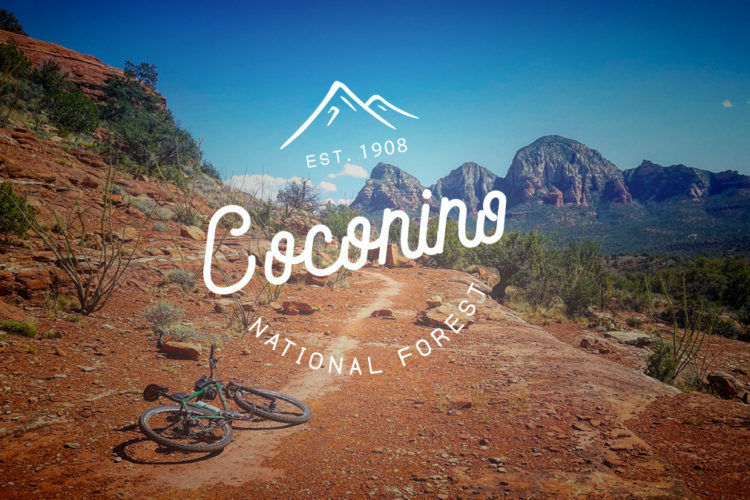 On its southern flank is a marvelous and varied network of riding opportunities, including a monumental climb, passing through a ghost town in Glorieta Canyon, mountaintop singletrack leading to a lonely fire lookout, and lower down, a newer network of modern, gnarly enduro trails. Any adventurous rider, regardless of taste, will find challenge and fun on this mountain. Be advised, the only reasonable access is through the privately-owned Glorieta camp and conference center, so be sure to check on access before showing up. If you’re looking to get a lift assist in the Santa Fe National Forest, Pajarito Mountain is your venue. This small ski area on the west side of Los Alamos runs the chairs in the summer so cyclists can get some easy vertical. 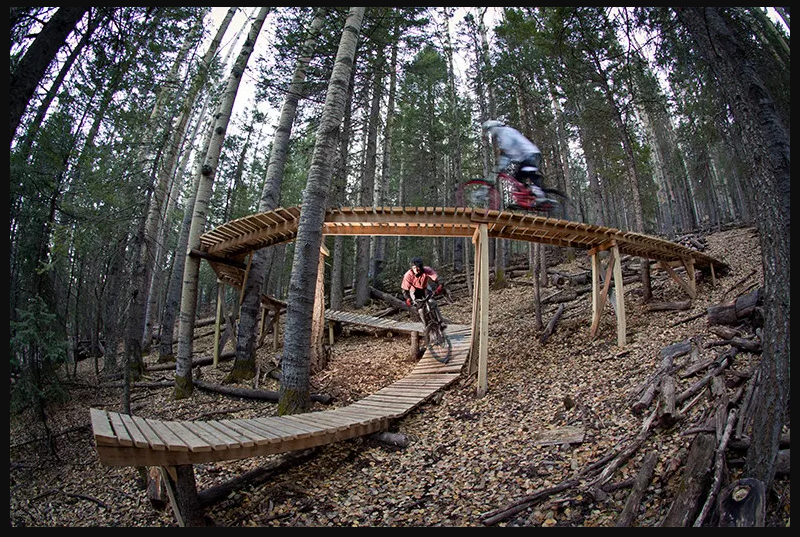 With 30 trails on 1,200 vertical feet, and no lines, this is a place where you can simply do laps on pleasant singletrack until your heart’s content. 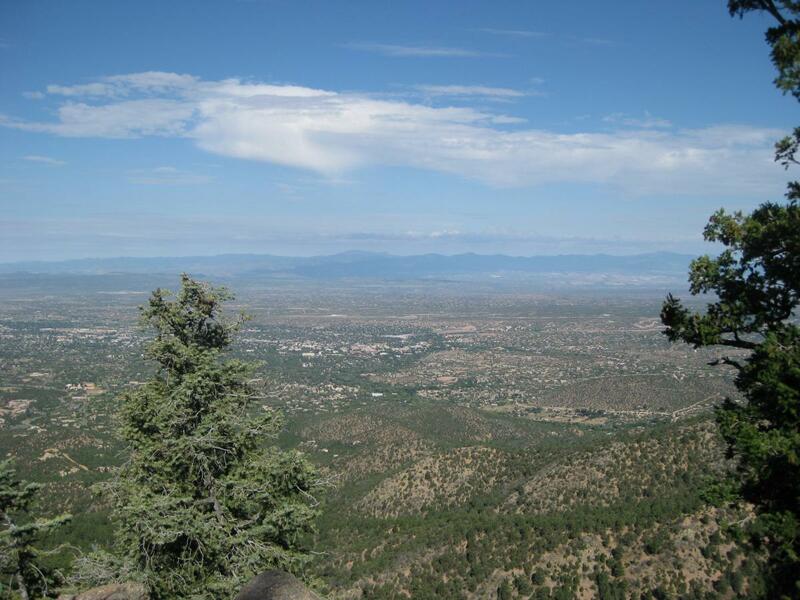 This is another rugged route in the mountains on the east side of the city of Santa Fe. 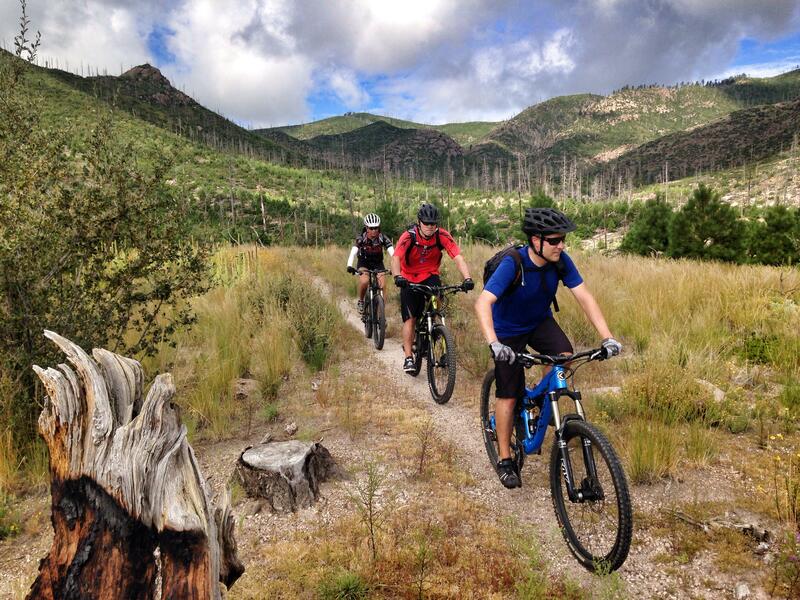 While much of Rio en Medio sits within the Pecos Wilderness and is, therefore, off limits to bikes, what remains makes for an excellent ride, especially for the more adventurous rider. It can be done as a brutal out and back, or as a shuttle with a drop off at the base of the Santa Fe ski area shared with the upper end of the Winsor Trail, with whom it also shares a similar elevation profile. However, where Winsor is mostly flowy and continually rideable, Rio en Medio has some seriously technical sections, including a rock outcrop or two which will make just about everyone dismount. Rio en Medio is also punctuated with some small but pleasant waterfalls, and some water crossings which can be most welcome on hot New Mexico summer days. While this is a doubletrack route, it is a worthy part of the Santa Fe portfolio simply because it is so true to its name. The white barked aspen trees that line this ride are as numerous as they are beautiful. As a bonus, when the trees break, the views at just over 12,000 feet in elevation are spectacular. For maximum effect, ride this one in early fall when the kelly green leaves change to radiant gold, catching and reflecting the sun’s rays like mother nature’s kaleidoscope. Bayou Canyon is a wonderfully unique trail system. It lies within urban Los Alamos, easily accessible from almost any point in town, but still has a remote and rugged feel. Technically, most of these trails lay outside the National Forest boundary, but they are easily joined into a great ride with adjacent trails if desired, but they make for a nice spin in and of themselves. The Jemez Mountains southwest of Los Alamos hold a myriad of underutilized trails, most ravaged by multiple wildfires which have plagued the area this century. 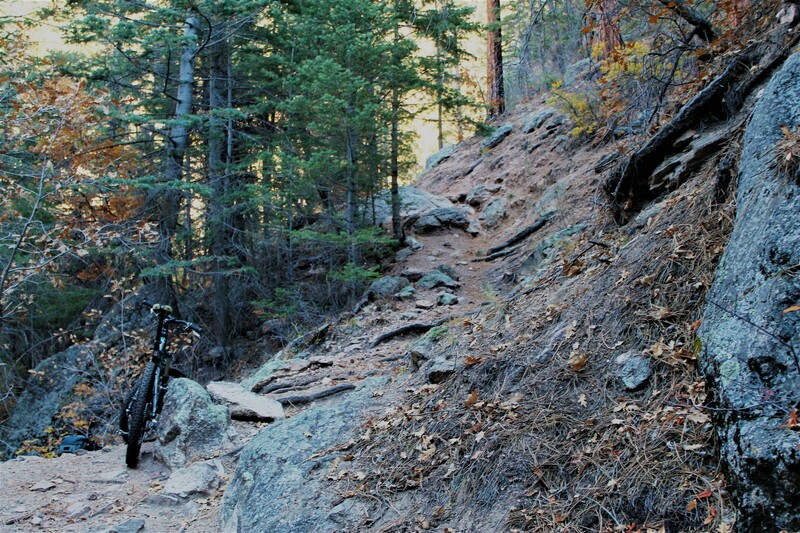 A few of these trails have survived to remain excellent options for fat tire fiends. The best among these is Water Canyon: 2.5 miles of screaming downhill which can be combined with adjacent trails to generate maximum mileage. There is a unique experience to be had by ripping warp speed through the burned out trunks of devastated trees which once made the area green. 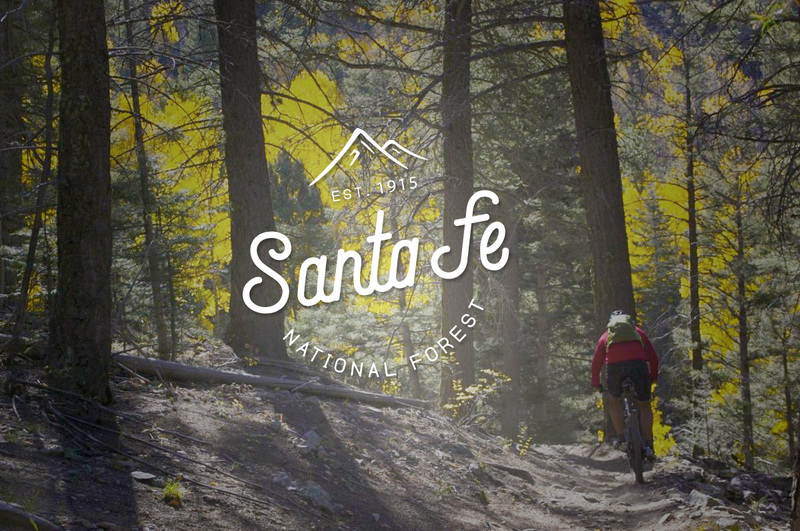 As great as the mountain biking is in the Santa Fe National Forest, the non-biking activities are equally special, especially in the city of Santa Fe, which is just outside the national forest boundary, but makes for a perfect base for those exploring the area. The area within the outer boundaries of the forest provides no shortage of opportunities to keep you entertained if you need a recovery day. 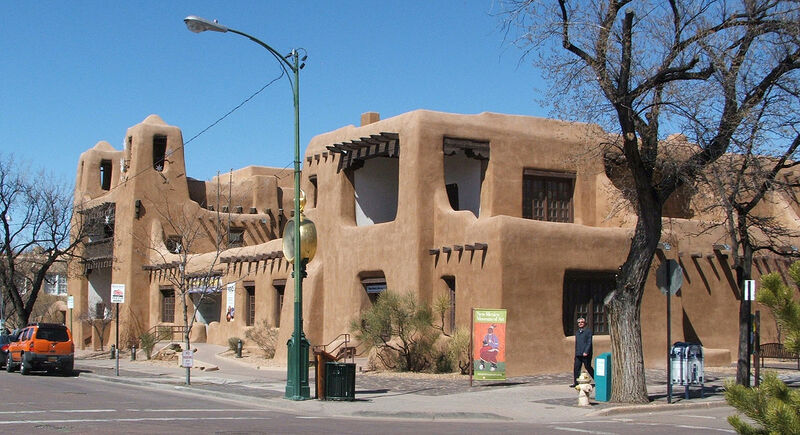 The city of Santa Fe is an amazing blending of Native American, Hispanic, and European cultures, and the epicenter of Santa Fe is the ancient adobe plaza at the center of town. Offering a collection of upscale dining, lodging, art, and shopping mixed with very down to earth Native American artisans laying out their wares on blankets on the sidewalk, this is a fascinating place to spend a day, even if you’re not into shopping. Designated in 1964, the Pecos Wilderness is a varied land of mountains and mesas, full of magnificent and unspoiled natural beauty. If you want to go deep, and are willing to do it on foot, this is the place to do it. Whether hiking, backpacking, or fishing, this expanse, which exceeds 220,000 acres in size and reaching over 13,000 feet in elevation, provides the best place to truly get away from it all. Just a stone’s throw off the Plaza is one of the finest and most diverse art museums in the country. The oldest art museum in the state, the New Mexico Museum of Art houses delightfully unique permanent and traveling collections covering native, national, and international movements. The museum beautifully finds a way to be a serious housing of renowned works but without being stuffy or pedantic. It is a museum for both the experienced art aficionado and the visitor who isn’t really into art. 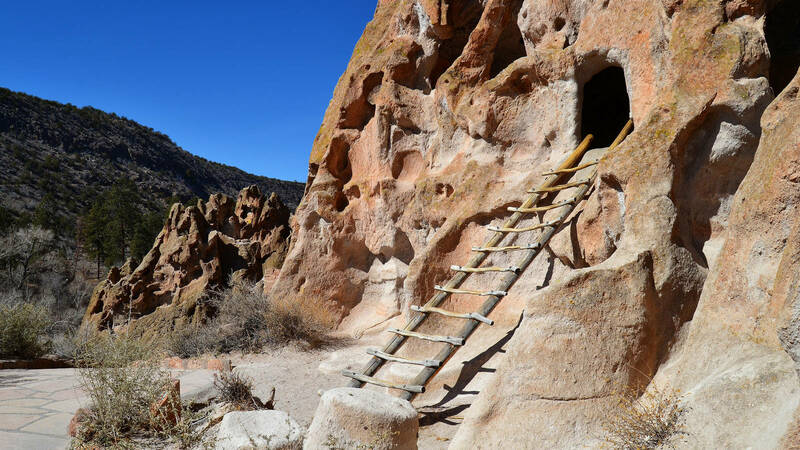 The Bandelier National Monument was designated by President Woodrow Wilson in 1916 to preserve the archaeological treasures left behind by ancient Pueblo Indians. In addition to Puebloan ruins, the monument includes an impressive geology with a full 5,000 vertical feet of relief within its 50 square miles. Lying a block off the Plaza in the direction opposite the New Mexico Museum of art is one of America’s most beautiful houses of worship. It serves both as a historical site and a working church, and if you want to take Mass while visiting the Santa Fe National Forest, this is a unique and special place to do so. 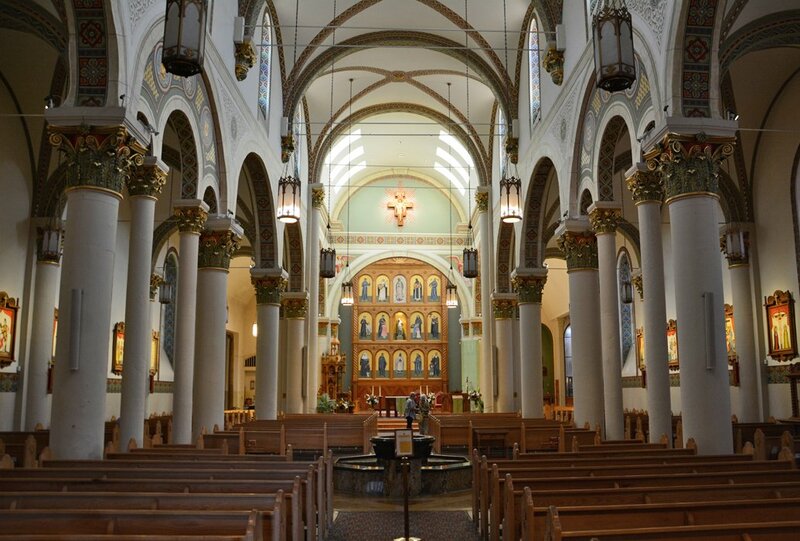 Even if you’re not Catholic, it’s worth a stop to marvel at the Romanesque Revival architecture and the New Mexico Mission style artwork. Quality lodging in Santa Fe can be pricey. But the woods outside town are cheap… and beautiful. 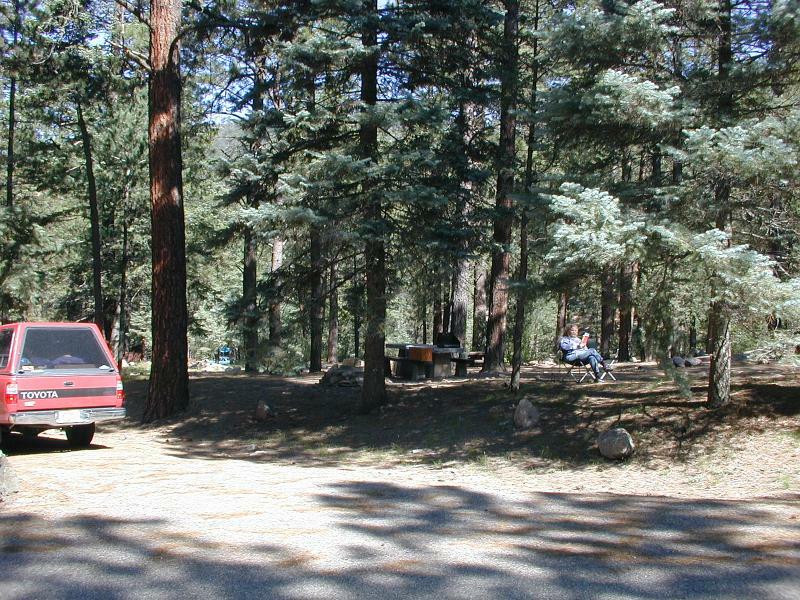 If you’re into camping, the Santa Fe National Forest has plenty of great options for everything from fully-equipped RVs to bare bones tenting. Some are even very accessible to nearby trails, making your biking visit even easier. Black Canyon is a USFS campground on highway 475, aka Hyde Park Road, between the city of Santa Fe and the Santa Fe Ski Area. It is convenient to the Winsor Trail network, including the Bear Wallow and Chamisa trails. 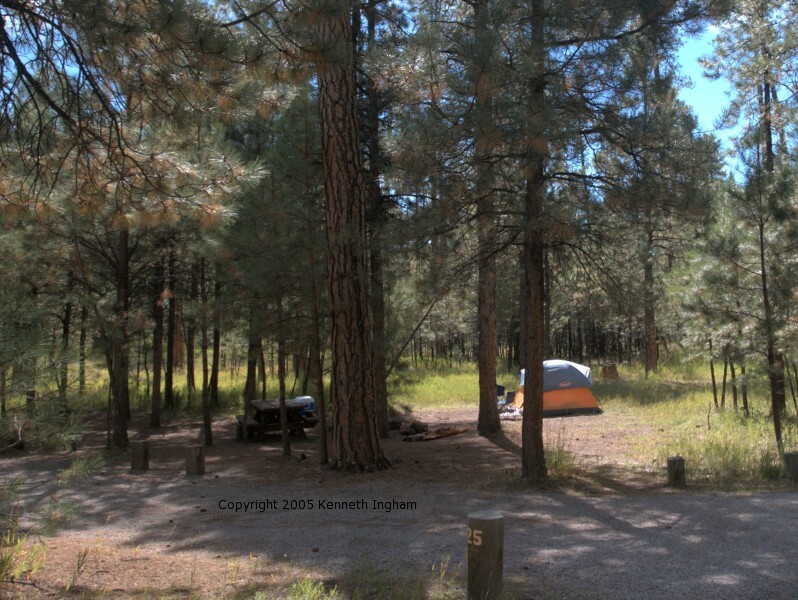 The Juniper Campground sits within the Bandelier National Monument. 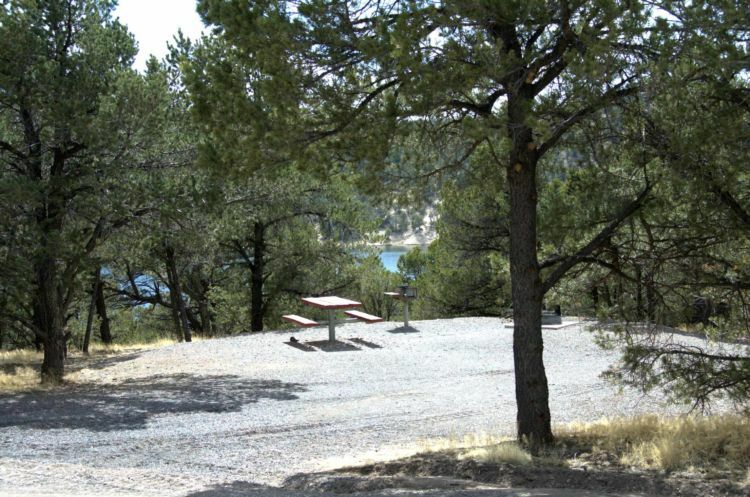 Camp May lies just northwest of Los Alamos and is convenient to both the Los Alamos County Trails and Pajarito Mountain. Big Tesuque sits higher up Highway 475. The Jemez Falls Campground is easily accessible to its namesake waterfall deep in the Jemez Mountains west of Bandelier National Monument. 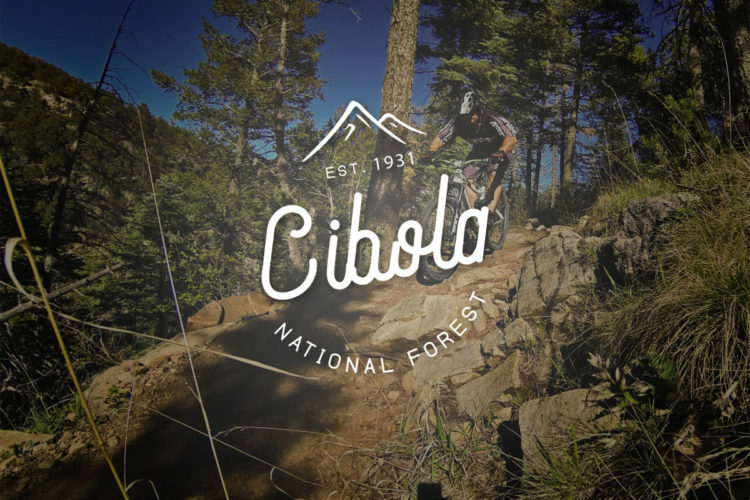 Whether you want to compete, ride for fun, check out new gear, or just drink beer, there are events in the Santa Fe National Forest just for you. Check out the events below and plan your visit to coincide with your favorite event. 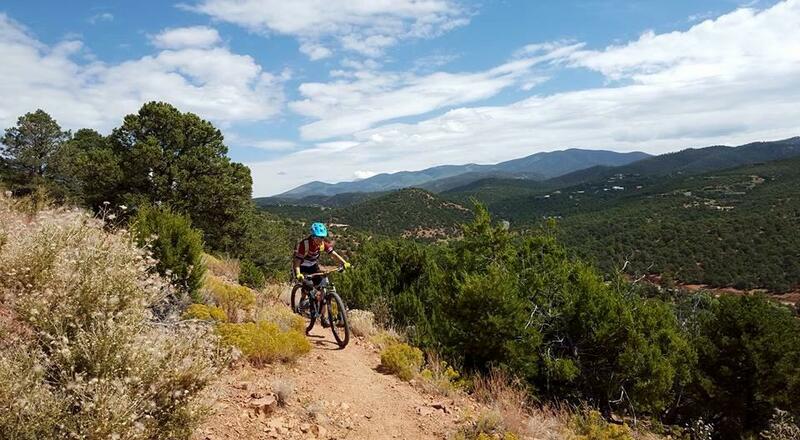 The Big Mountain Enduro series makes a popular stop at the Glorieta Trails complex where riders can indulge themselves in multiple days of flinging their bodies and bikes down thousands of vertical feet of gnar. 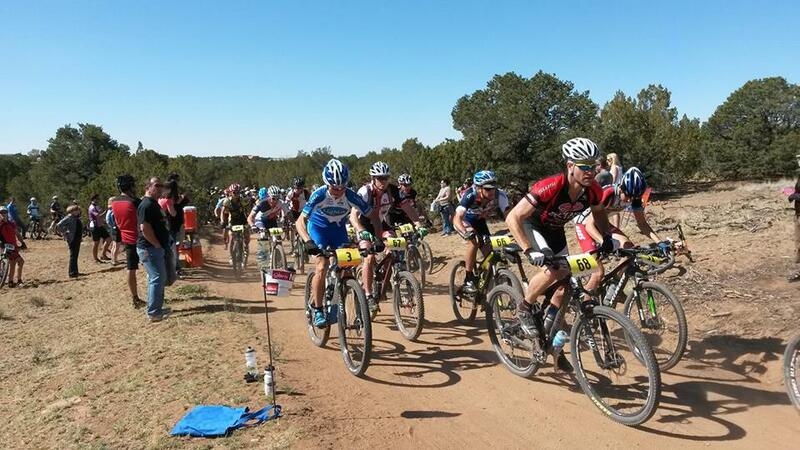 The La Tierra Trails on the north side of Santa Fe play host to a longstanding, popular race which donates profits to local non-profits. As the mountains dry out, May brings a festival to Santa Fe that includes rides both on and off road, bike demos from a variety of big name brands, all alongside a craft beer expo. 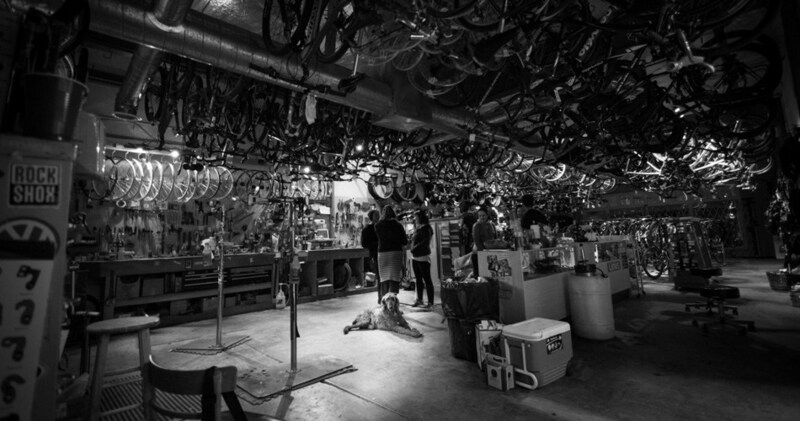 Although they bill themselves as “your neighborhood bike shop,” The Broken Spoke in Santa Fe is a well-stocked shop with everything you may need to ensure your Santa Fe bike trip is successful. 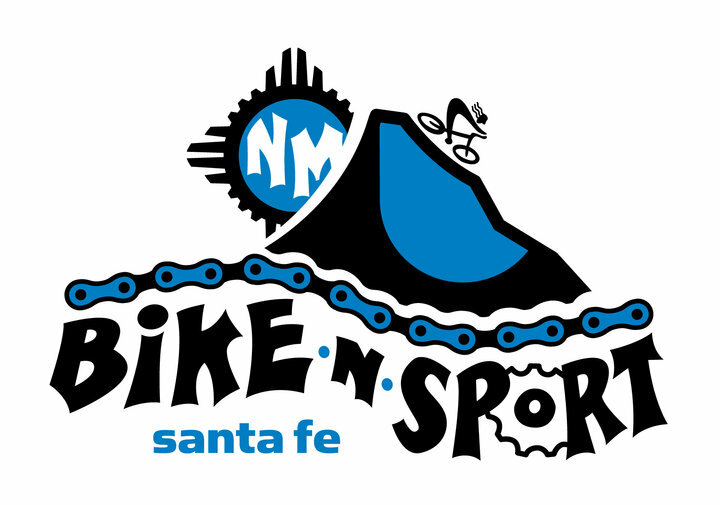 Also in Santa Fe, Bike ‘n’ Sport has ample selection and also offers rentals. If you brought your road bike, they also lead group road rides on Wednesdays, Saturdays, and Sundays. 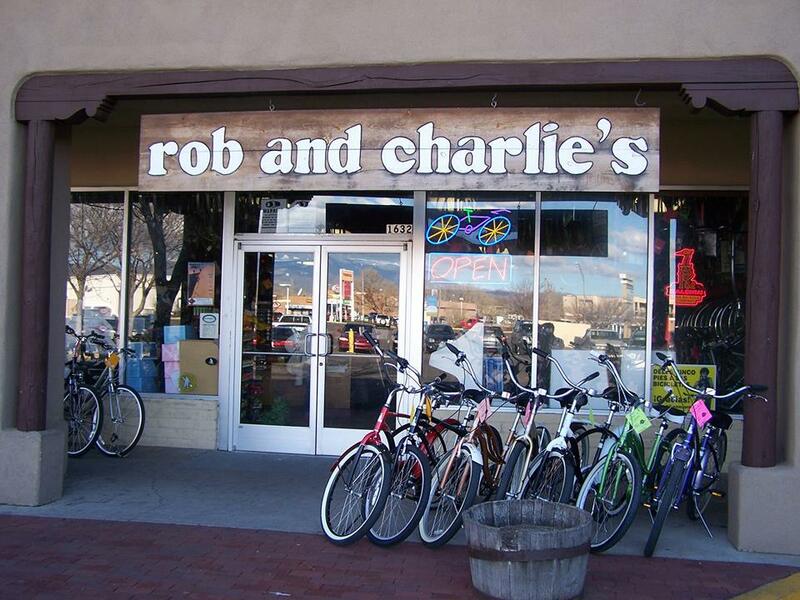 Rob and Charlie’s is a small but friendly and helpful shop in a strip mall southwest of downtown Santa Fe. Your Turn: Have any Santa Fe tips that we didn’t mention? Share them in the comments below!